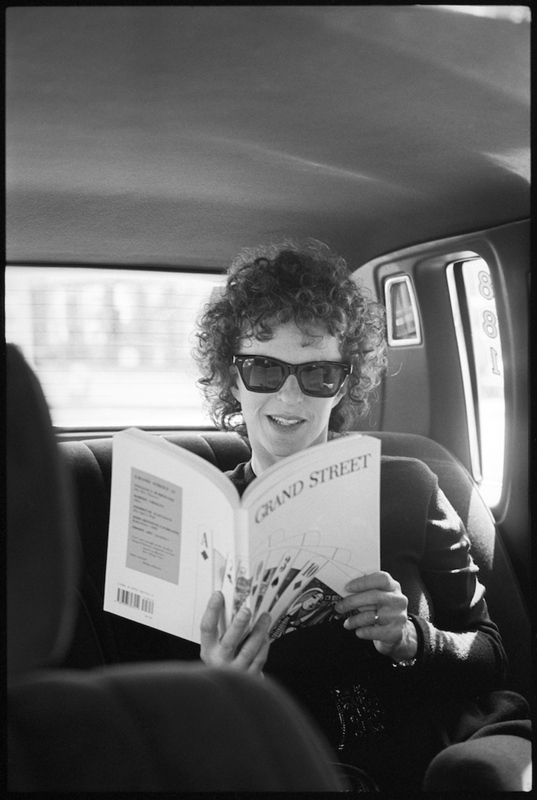 Jean Stein, photographed in New York, 1991. Photo: Brigitte Lacombe. And then a minimum of three minutes. Do you like this, Ottessa? See me grin and shake my head no. Then stand and duck and go. For twelve dollars and fifty cents. Like a trail for the angels. Because I am one of you. She exclaimed at every magic moment. Wow! Wow! Oh my God! Tell everyone what you love. That I had with Jean. Imagine one hundred thousand people. And what we have with anyone. Or an orchid on the windowsill. Even just all the passing glances on the street. Don’t you want to share it all with everyone? I wish I could put my arm around her again. Wouldn’t you want to put your arms around her? Which is your gratitude for life? That you even get to be here? She ate cold soups at lunch. She gave me a blue cashmere sweater one birthday. She stood by the bathroom door with a glass of water. When it knows its running out? Like every single last one of us? Ottessa Moshfegh is a writer whose 2015 novel, Eileen, was shortlisted for the Man Booker Prize. Moshfegh was a close friend of Jean Stein and the final editor with Stein on her last oral-history book, West of Eden. They met in 2007.